Varicose veins are more than a cosmetic concern. Although most people think of them as unsightly, they may signal more serious underlying vein disease and reflux conditions – especially if associated with leg swelling and heaviness during the day, or restless legs syndrome at night. As one of the largest vein clinics in South Texas, RGV Cosmetic Surgery & Vein Center offers varicose vein treatments to residents of McAllen, Brownsville, the Rio Grande Valley, and all of South Texas. We offer innovative, effective treatments for the full spectrum of vein disease, including varicose veins and spider veins. With varicose veins treatment, your body will re-route blood flow into stronger, healthier veins, reducing vein problems and improving circulation. RGV Cosmetic Surgery & Vein Care offers minimally invasive methods of treating varicose veins, in an office setting, using a laser and local anesthesia. You will walk in and walk out, with minimal discomfort and can resume usual activity almost immediately. Endovenous Laser Therapy (EVLT) – Used to treat saphenous vein reflux, which is the most important factor underlying varicose vein disease. ELVT eliminates unsightly varicose veins with no hospital stay, no scarring and no lengthy recovery or side effects. EVLT has replaced the older saphenous vein stripping surgical procedure, which used to be performed in the OR under general anesthesia. EVLT is performed in the office under IV sedation and local anesthesia. The procedure involves using ultrasound guidance to place a thin laser inside the diseased segments of the saphenous veins to seal them closed. 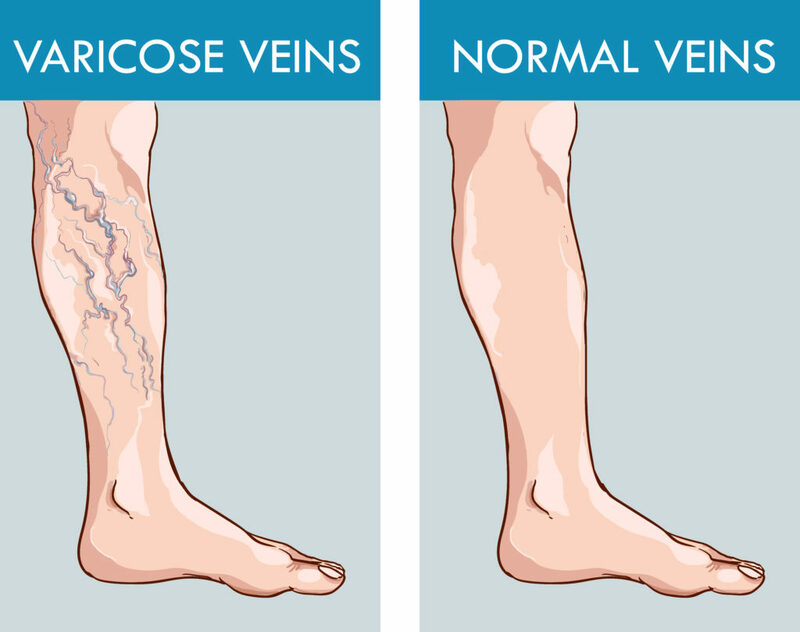 This forces the blood into other healthy veins to return the circulation and help improve leg swelling, heaviness, restless legs, skin discoloration, or venous stasis ulcers. The saphenous veins can be safely closed off or removed without causing any harm. The EVLT procedure is extremely safe and has a 99% long-term success rate. Ambulatory Phlebectomy – This procedure is the most common treatment for varicose veins, either in the event that laser treatment of the vein is not feasible, or as the second stage of treatment after the EVLT. This procedure is done under local anesthetic and involves mapping the veins, numbing these areas and making micro punctures in the skin whereby the veins can be “teased” out with specialized instruments. The procedure takes less than an hour, and you will be instantly free from bulging, twisted varicose veins, and back to enjoying your everyday activities.